Have you ever watched Survivor, the popular U.S. TV Series? If yes, then you would know that Pulau Tiga was the first location of the recording. Pulau Tiga or Tiga Island is a low-lying island about 35 nautical southwest of Kota Kinabalu, and can be reached by road to Kuala Penyu, followed by a 15-minutes speedboat ride. Pulau Tiga is the largest of three islands within the Pulau Tiga Park (gazetted in 1978), the other islands being Kalampunian Damit and Kalampunian Besar (better known as Snake Island for the sea snakes which breed there). There is plenty to do here, whether snorkelling, kayaking or even doing something simple like spending the day swimming in the clear water. For the divers, this island is the ultimate location. 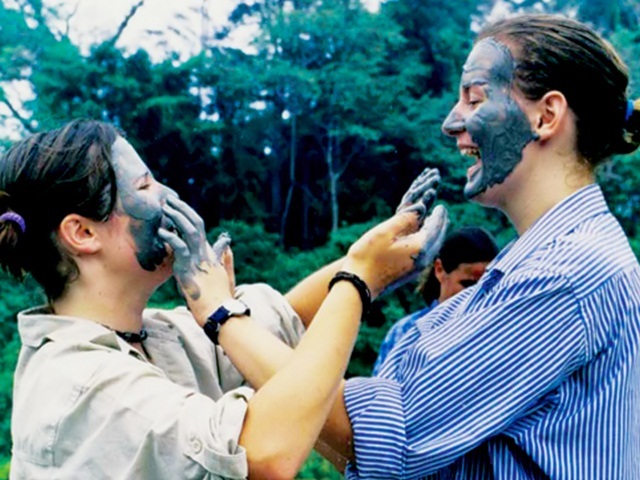 As Pulau Tiga is believed to have formed by the eruption of several mud volcanoes, the guests can enjoy the mud bath. The mud volcanoes are still emitting gaseous and periodical eruptions but are totally harmless; instead the mud contains minerals which are good for the skin. There are mammals of various species including the ubiquitous macaque monkeys and reptiles such as the large monitor lizards. 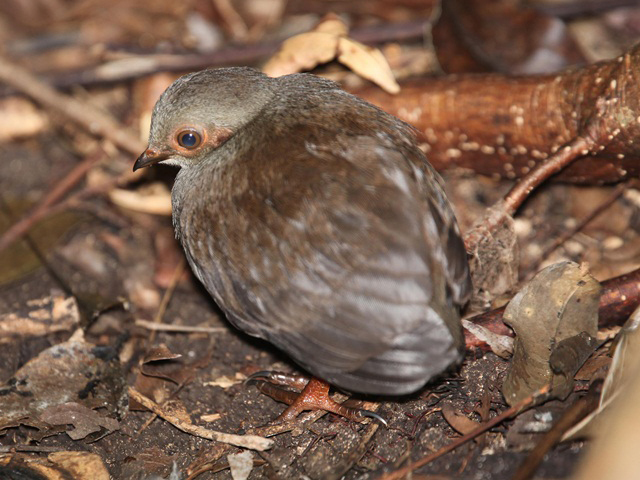 There is also a birdlife, such as hen-like megapode, which incubates its eggs in the hot sand, while there are numerous insects and wild orchids to be seen. It is not surprising that Pulau Tiga was chosen as the location for the first Survivor given its pristine environment. Pulau Tiga has only two resorts to accommodate its guests. The original Pulau Tiga Resort, situated in the forests behind a sandy beach, offers PADI dive course and dive sites for both novice and experienced divers. The surrounding reefs are shallow, with healthy coral and visibility up to 20 m (less during the southwest monsoon). The rich variety of marine life includes nudibranch, a type of marine gastropod mollusks which shed their shell after their larval stage, bamboo sharks, cuttlefish and marbled stingray, with guaranteed sightings of banded sea snakes on Snake Island. Another resort is the Borneo Survivor Resort, located on the eastern side of the island, which offers a range of beach games, boating, fish and snorkelling. 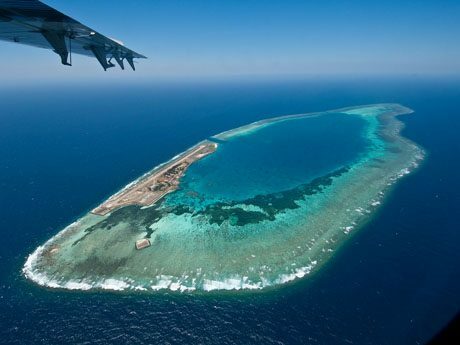 Layang-Layang, means kite and swallow in Malay, is the only atoll in all of Malaysia, Layang-Layang (Swallow) Reef rises 2,000 m from the sea floor of the South China Sea. 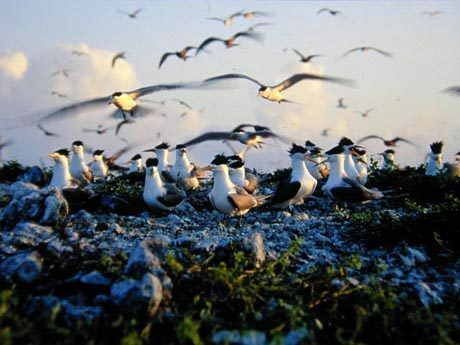 A name fits with its environment, Layang-Layang Island has a numerous species of birds nesting and visiting the island such as Black-napped tern, Great crested tern, Sooty tern, Brown booby, Lesser frigatebird, Pacific golden plover, Plumed and Pacific-reef egrets, Ruddy tern and Yellow wagtails. Of course, there are lots of Barn swallows habitating the island. Layang-Layang is located about 300 km northwest of Kota Kinabalu, offers total isolation and subsequently stunning visibility and pristine reefs with a rich pelagic marine life. Not surprisingly, the island has earned a reputation as one of the world’s top ten dive spots. 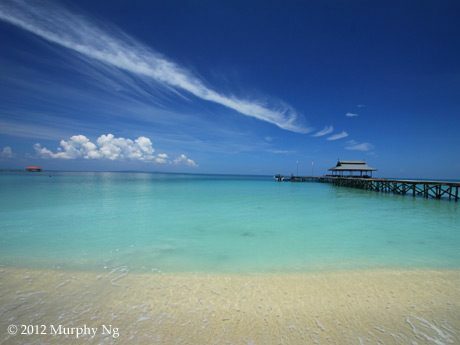 An island was created around the original reef as a base for the Malaysian Navy, and a single resort, Layang-Layang Island Resort, subsequently opened for divers, who reach the island on scheduled flights by small plane. 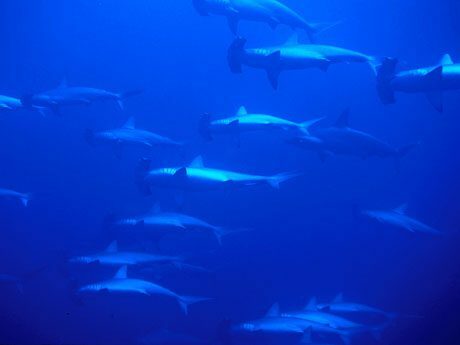 There are frequent sightings of barracuda and big-eye trevally, as well as schools of scalloped hammered sharks, grey reef sharks, leopard sharks and the occasional thresher and silvertip sharks on the outer reefs. Rays are regular visitors, including huge manta rays, pygmy devil rays, marbled rays and eagle rays. Special sightings over the last few years include whale sharks, orcas and melon-headed whales. Spinner and bottlenose dolphins frequently follow the dive boats and lucky divers have even dived among these creatures. The walls of Layang-Layang’s reef are covered with healthy corals, with sea fans stretching more than 3m across filtering plankton from the passing currents. Green and hawksbill turtles are frequently seen on the reef, while the 20m deep lagoon includes macro creatures such as seahorses, cuttlefish and pipe fish. With its remarkable variety of pristine marine life, Layang-Layang is indeed worthy of its worldwide recognition. In conclusion, if you plan to organise a trip to Kota Kinabalu, and if you love a bit of adventure, you may want to check out Pulau Tiga (Tiga Island) and Layang-Layang Island.